At Andy's Wholesale Carpets, we are specialists in the fitting of quality carpets and flooring for customers throughout Bolton. 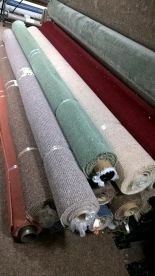 We offer a range of carpets to our customers, of course, at competitive and fair prices. Deciding which carpet to go for isn’t always an easy task, that’s why we’re here to help. 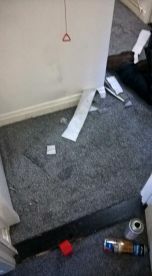 You can reach our carpet fitters via email or phone on 07857440547. We have earned a reputation for high-quality workmanship and attention to detail through our work. You’ll be pleased to hear that no installation is too large or small for us. Our small team of expert staff are keen to help you and will always listen to your concerns in a polite and friendly manner. Forget the rest out there, you should come to the best. 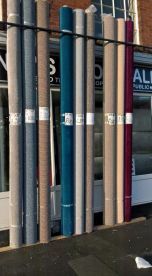 At Andy's Wholesale Carpets, we aim to provide an excellent carpet fitting service at all times. We take great pride in our work and we bring in customers through positive word-of-mouth and the recommendation of other loyal customers. We believe that our success is based on passion, hard work and great attention to detail and we will never stop trying to top our last job. Visited the shop on Saturday Morning lots of selection to choose from, got exactly what was asked for and fitted on Monday afternoon!! Absolutely over the moon fast fitting and reliable. I went in the shop yesterday dinner and the carpet was fitted by 2....fantastic quality carpet, great value for money and friendly staff. Thank you! 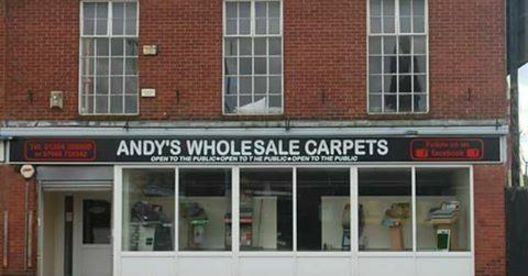 Please note that Andy's Wholesale Carpets may not be able to honour booking requests made.